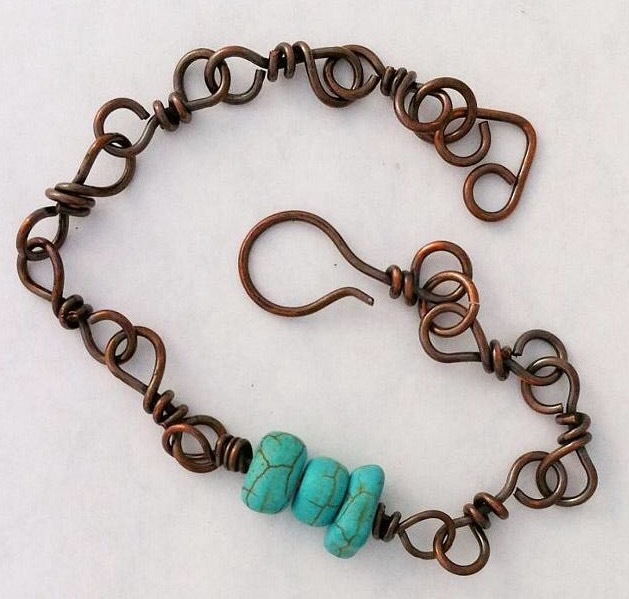 This pretty little bracelet is a one of a kind, handcrafted using 100% copper wire. The links are hand formed wire wrapped bow ties. 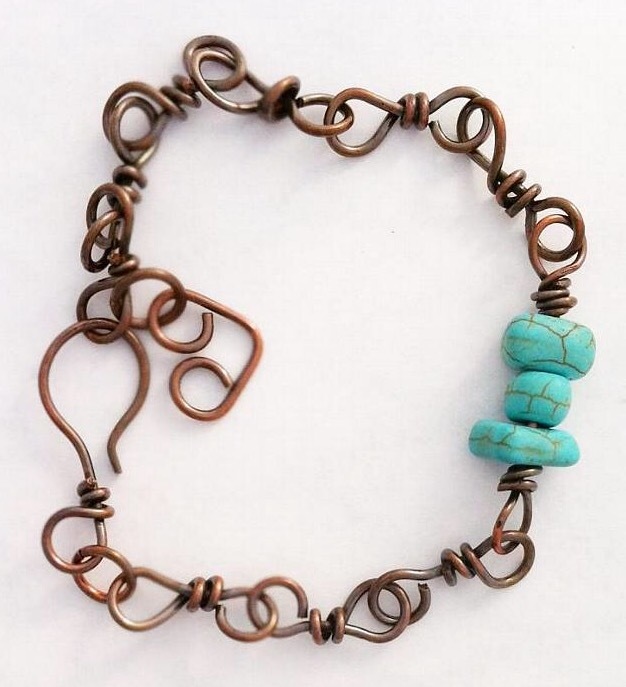 The focal is a wire wrapped link made with turquoise colored Howlite gemstone nuggets. A patine was used to give it a warm rich earthy tone.